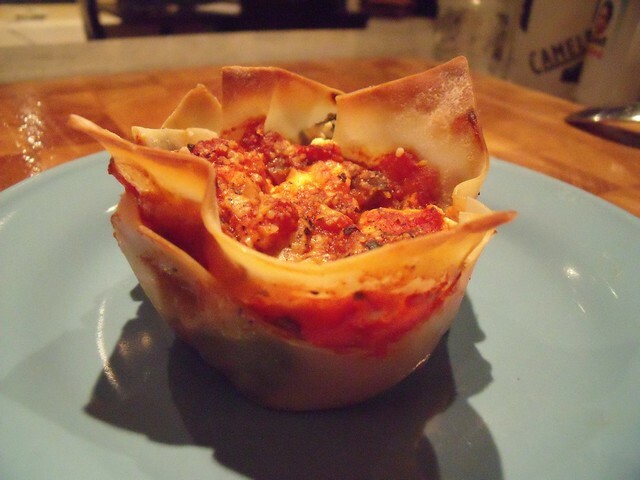 I love this idea of little lasagnas in muffin cups. 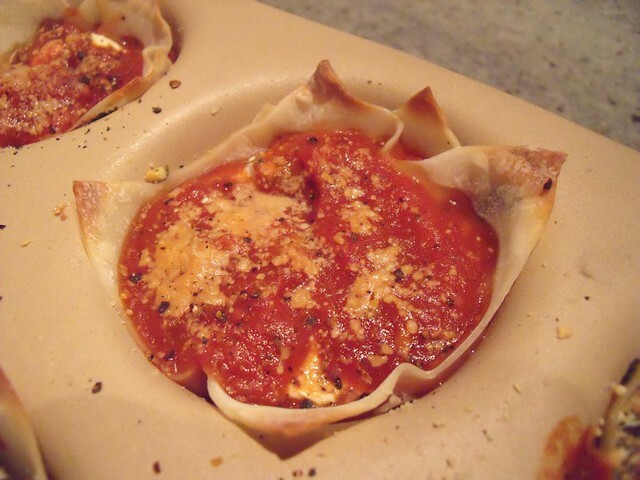 If you’re looking for portion control, baking teeny lasagnas like this will do it for you. Or they’re just totally cute and insanely delicious. 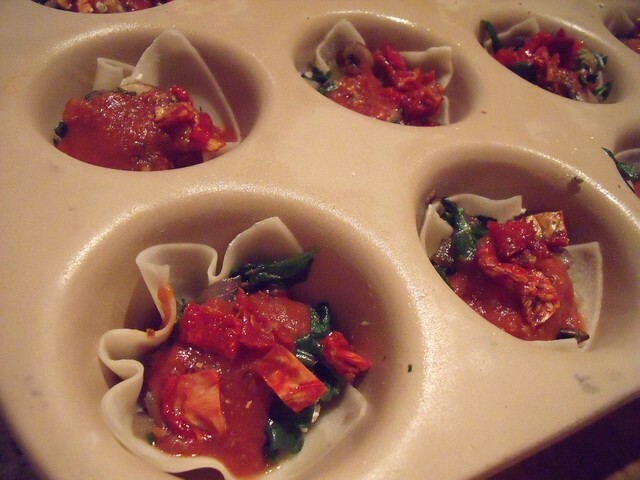 Mini lasagnas are also super easy to freeze for easy dinners later on. 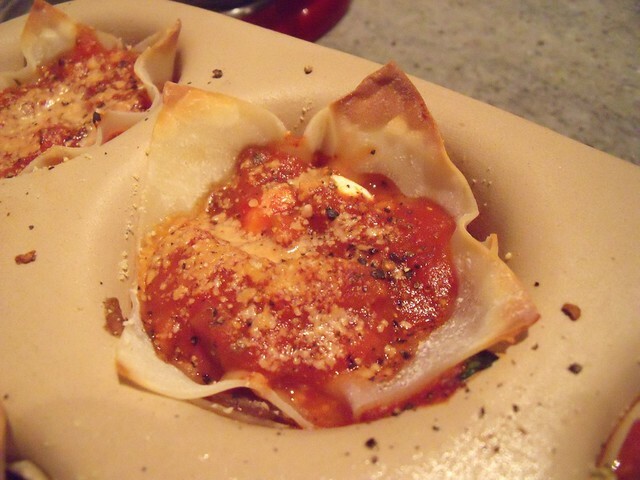 And with how busy we’ve been around here at la casa di Opere di Cucina (“the home of Kitchen Operas”), it’s super helpful to have ready-made dinners on hand for those crazy weeknights. Teaching until 8pm means eating laaaaate, having something in the oven while students are around (often fun to tantalize one’s students with dinner smells! ), or ordering in a little too much. 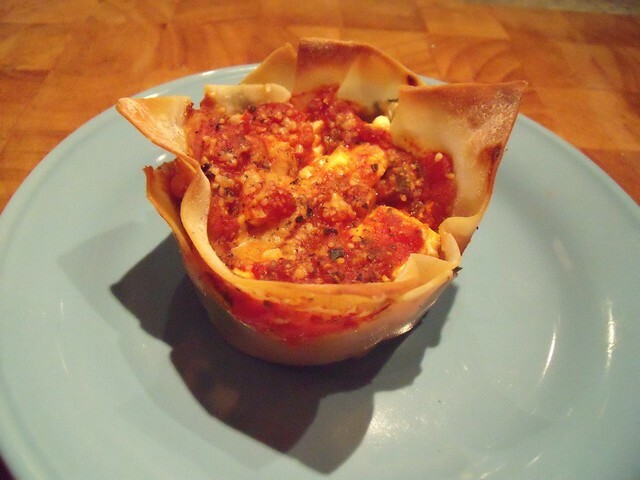 Pre-made healthy and delicious meals solve the dinner dilemma! 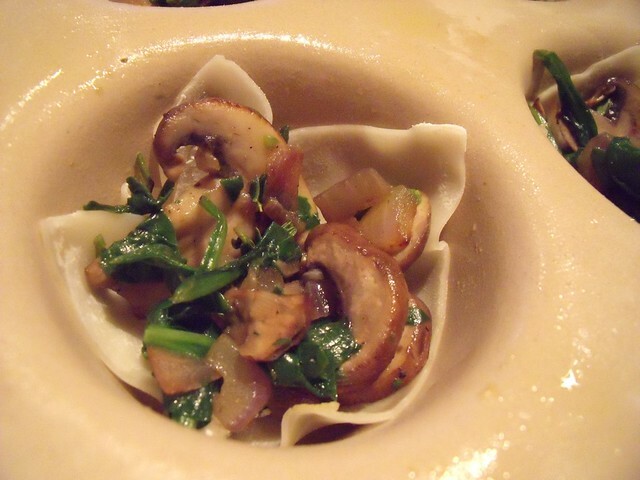 I wasn’t sure how I’d feel about using wonton wrappers in the place of lasagna noodles here… but then I remembered the Mushroom Wonton Ravioli with Garlic Scape Pesto I made, and knew I loved wontons as pasta. Wheat + flour = noodles. So I’m happy. And you know what, after baking them, you get these super crispy edges around the tops. Totally the best part. One of the comments over at Can You Stay For Dinner? 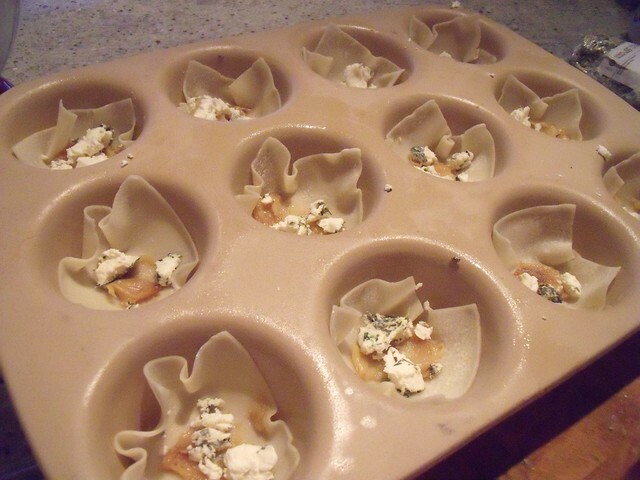 version of this recipe mentioned that they made a gluten-free version by using rice paper instead of the wheat-based wonton wrappers… let me know if you try it, I’m not 100% convinced that the texture will be delicious, having never baked rice paper before. 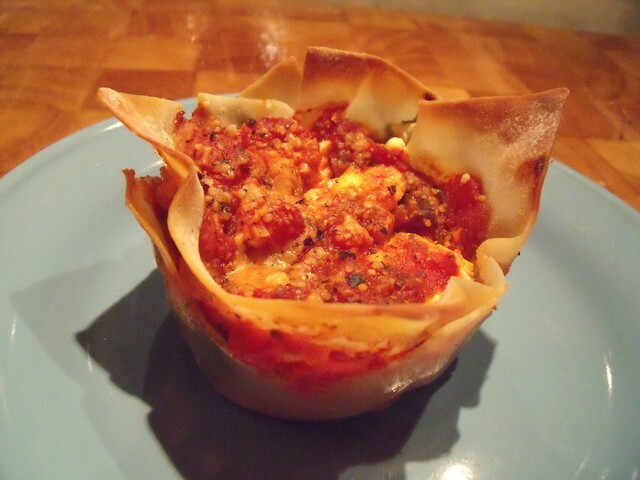 If you know me through the singing or voice-teaching world, you’ll know I need to make a little language disclaimer: the plural of lasagnas should be lasagne. Because that’s what they do in Italian. But I think the Italians might be a little affronted by what I’ve done to their lasagna anyway, that they’ll overlook the grammar. 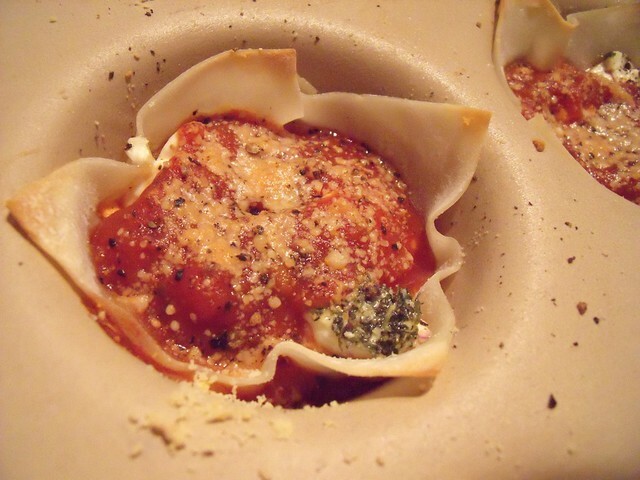 You could even call them lasagnetti (little lasagnas) if you wanted to get fancy with your Italian dinner. Whatever you call them, they’re delicious. Enjoy them! 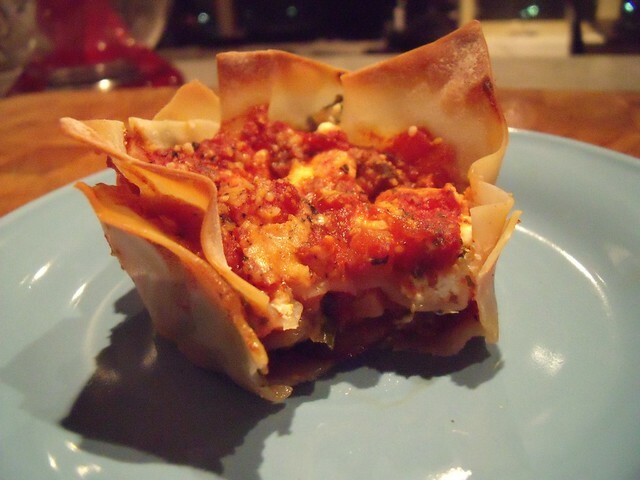 Grease the muffin tin with olive oil. In a large pan, sweat the onion in the olive oil over low heat until the onion is translucent. 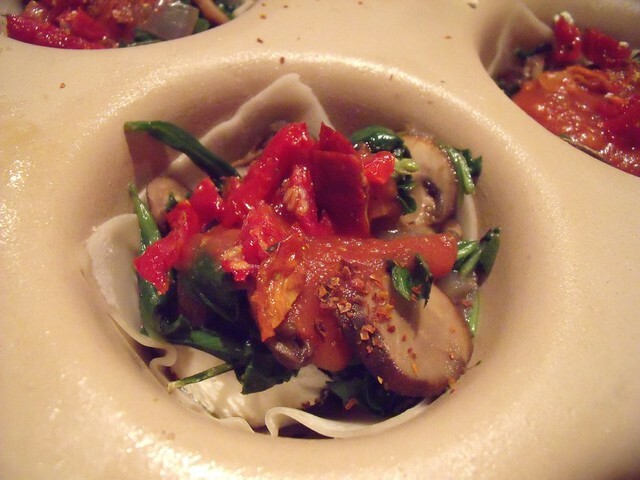 Add the mushrooms, salt, rosemary, and chili pepper, and turn the heat up to medium. Saute until the mushrooms are tender. Add the spinach, and cook for 1 minute, until the spinach has wilted but is still bright green. 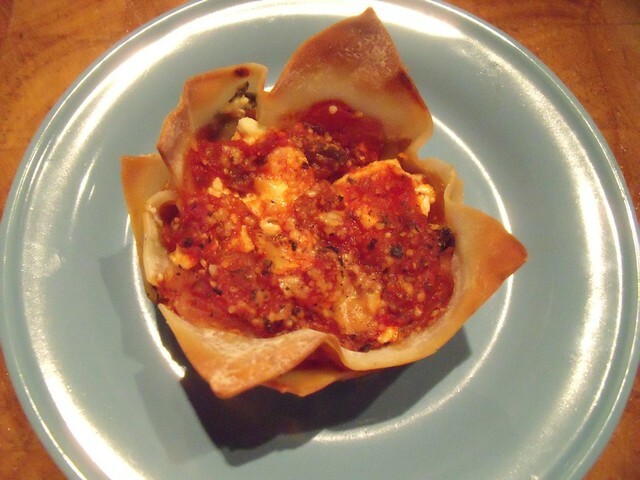 Add another spoonful of tomato sauce, and sprinkle again with goat’s cheese. 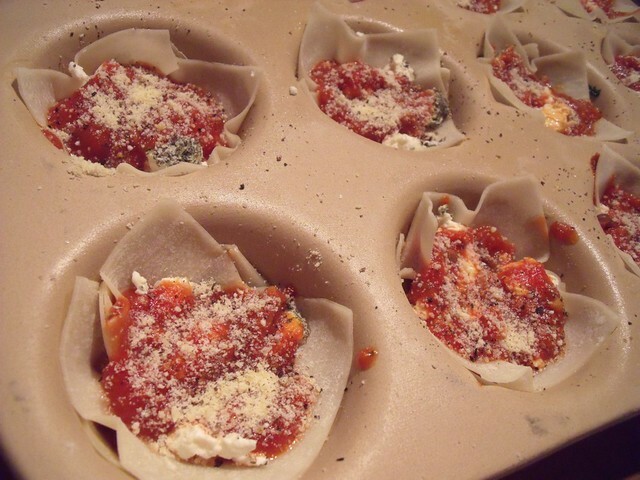 Top with parmesan and black pepper. 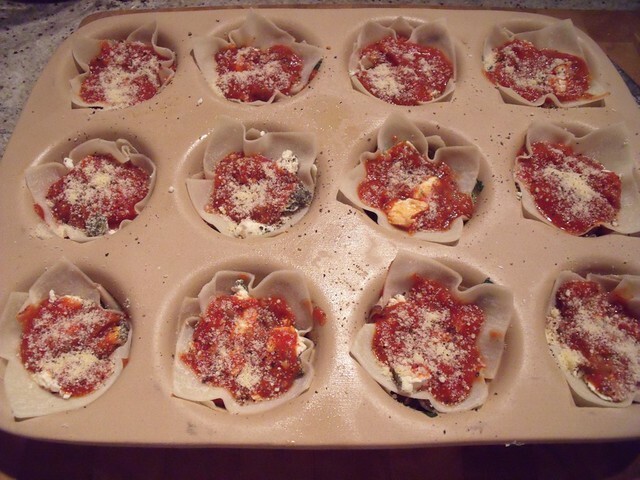 Eat warm, or let cool completely on a cooling rack before refrigerating or freezing. You are making me drool! These look great! Will try and then freeze. 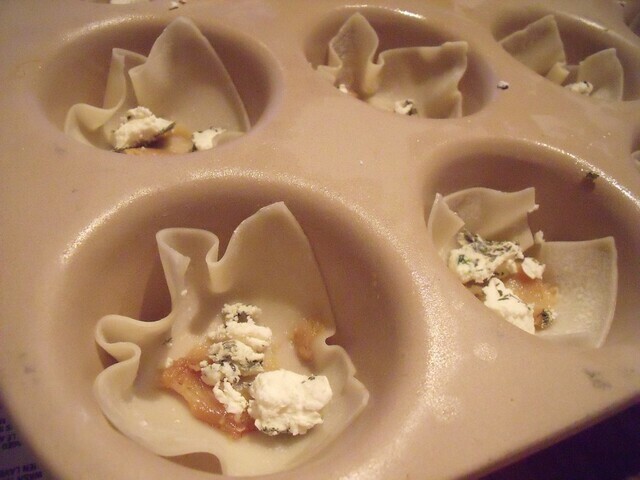 Where do I get wonton wrappers in the ‘nish, though? 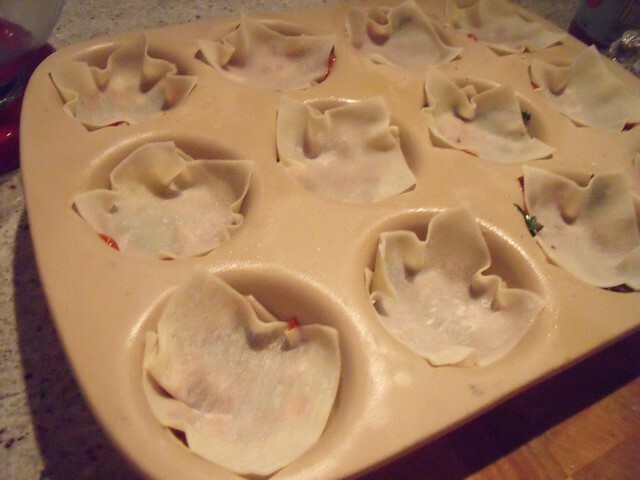 Wonton wrappers freeze really well. Maybe stock up in Toronto or Halifax and freeze a bunch? 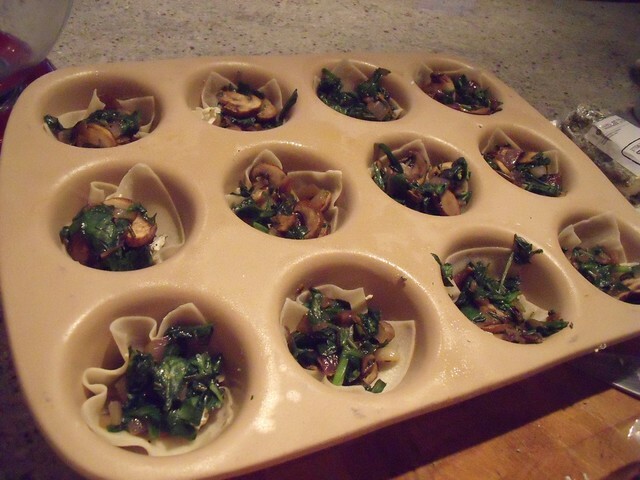 Another adorable thing to do with a muffin pan. I love it! That worked beautifully. I served them on a bed of pea shoots tossed with a little vinegar and they looked impressive (as well as tasting great!). The noodles tasted a bit under-done, though not sure how to fix that.